Early this month, we reported about a tip that claimed Samsung will launch a new white version of the Galaxy Note 9. We even had a picture of the smartphone, but no details about its availability. Today, ePrice (translated) reports that Samsung Taiwan confirmed the white version of the Samsung Galaxy Note 9 will be launched on the market on November 23. Although the phone is supposed to land in Taiwan this week, it remains to be seen whether or not it will arrive in the United States just in time for the holiday season. The White Galaxy Note 9 comes with a matching white-colored S Pen stylus, but that's the only thing that differentiates it from other Note 9 models. The White Galaxy Note 9 will cost just about the same as the other versions of the flagship, so you won't have to worry about that. We're waiting for Samsung US to announce when the new Galaxy Note 9 will make its debut in the country and where exactly customers will be able to buy one. We'll update once we have more info, so stay tuned. Tough sell between this and the silver for me. Same for me. Also the more time goes by the more I might just wait until the Note 10.
i hate you for this. I hate you for not releasing this color the launch. 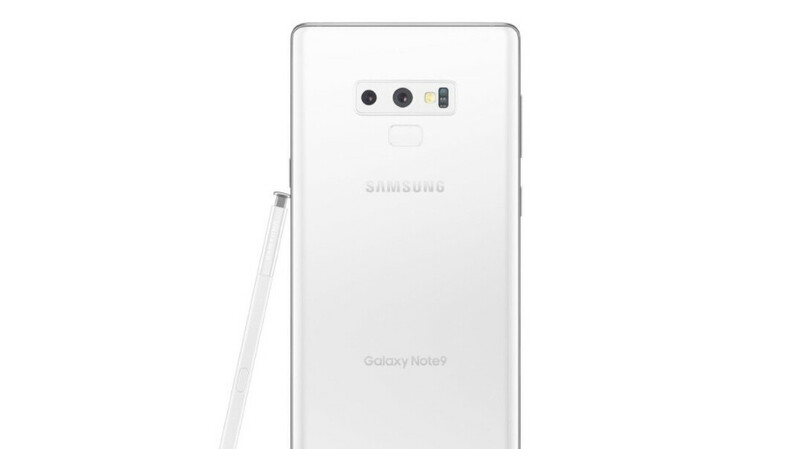 OMG white is back This is my favorite color and just may get me to buy a note 9. I had decided to wait for note 10. Nope, will get note 10 I usually get a new phone ever year but decided to skip the note 9 because i still enjoy my note 8. If note 11 offers a lot more or design changes a lot then i will buy it. Sweet, but I'm loving my 512 Blue.